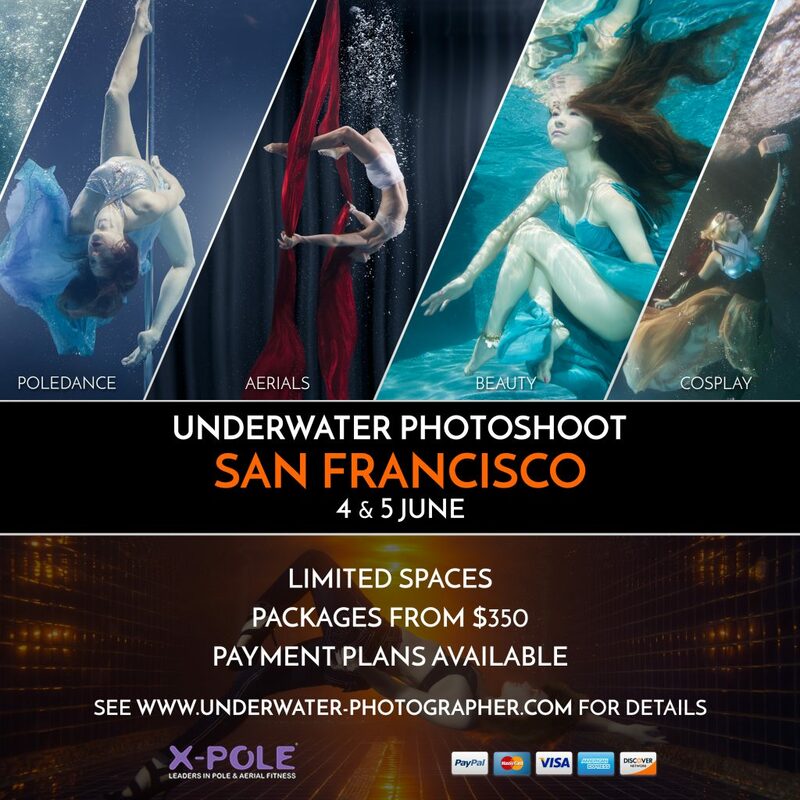 Our underwater pole dance photoshoots are a great way to experience an entirely different way of pole dancing. The weightless nature of water creates an environment where you can try different moves and pole tricks, and maybe make up a few yourself! Whilst it may look easy on the surface, Underwater Pole is certainly a work out. If you’ve ever had dreams of flying or just want to float in slow motion then our Beauty shoots are for you. 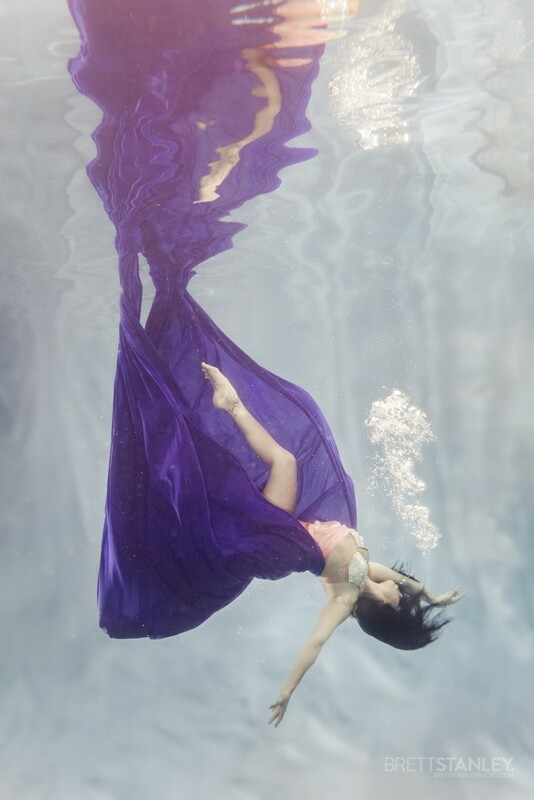 Ranging from graceful fabric play to a simple bikini or swimsuit, we will teach you how to use the water to create some stunning images. 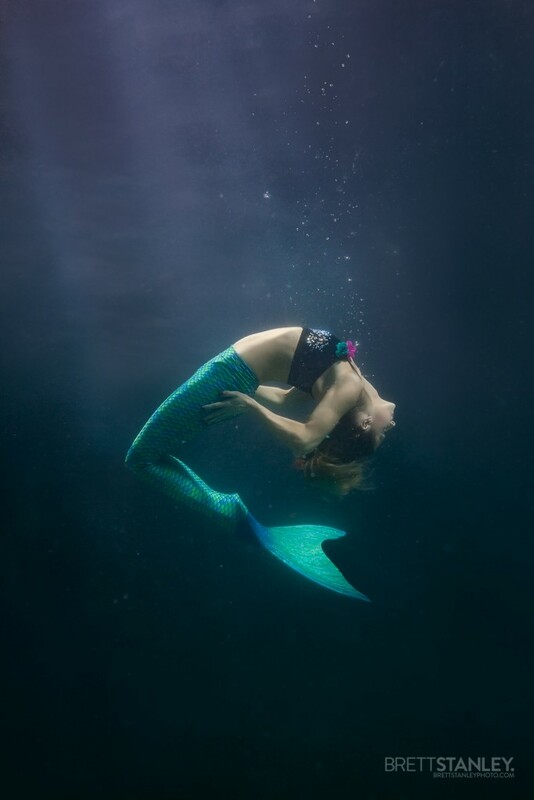 Whether it’s hoop, silks, chains, or trapeze it’s going to be stunning underwater! Just like our Pole Dance sessions this is a whole new world of gymnastics, with not just amazing poses but incredible movements as well. Do you have a wardrobe full of costumes that are just asking to be taken to the next level? 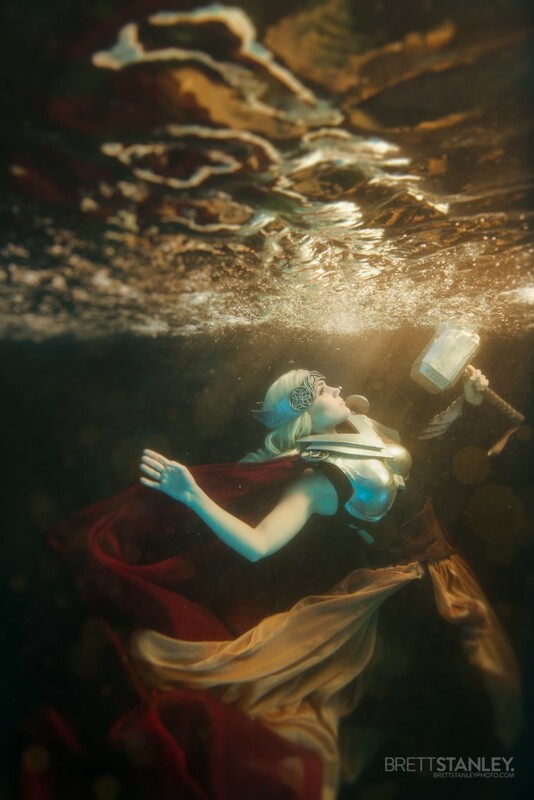 Bring your cosplay gear or even your mermaid tail along to your session and we will show you how to make the most of it! 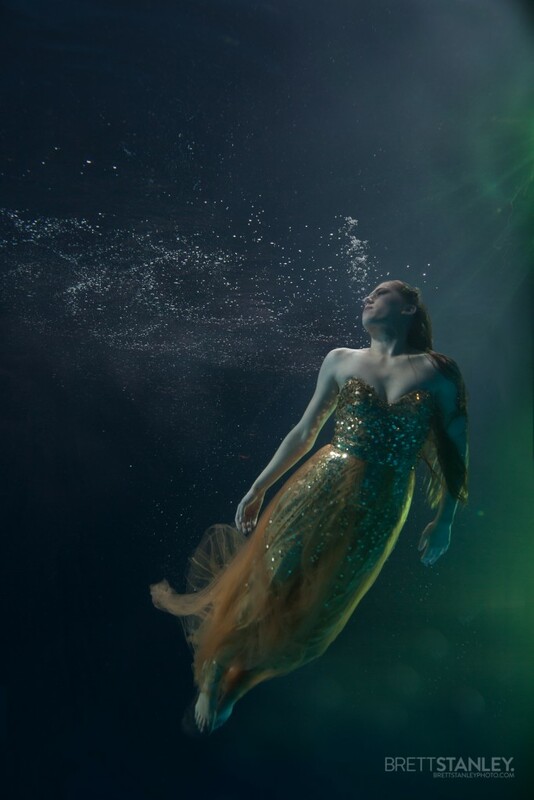 With our Underwater Photoshoots you come away with some spectacular images that will not just look great on your wall and be the perfect present, they will be the talk of the internet on your Facebook or Twitter profile as well! These shoots are for everyone, no modelling or dancing experience necessary! Anyone can attend our photoshoots, it’s not just for models. We’ve worked with people of all ages and abilities, male AND female, professional dancers to regular people who want to try something extraordinary. We’ve even had clients who can’t swim, but wanted to push themselves to achieve a great photograph! We’ve also worked with children and family groups, which is great fun and a change from the usual family portrait. Retouched Images are $75 each.